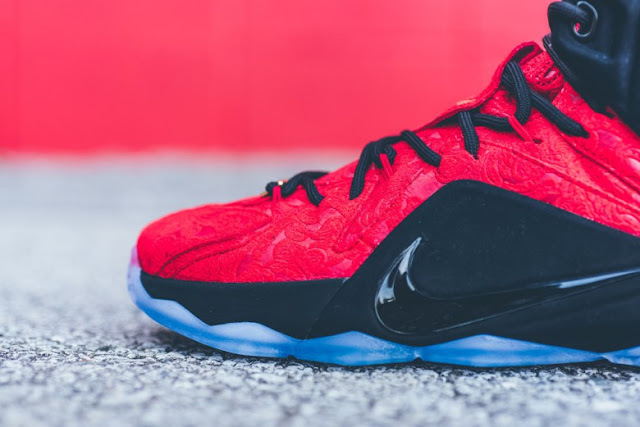 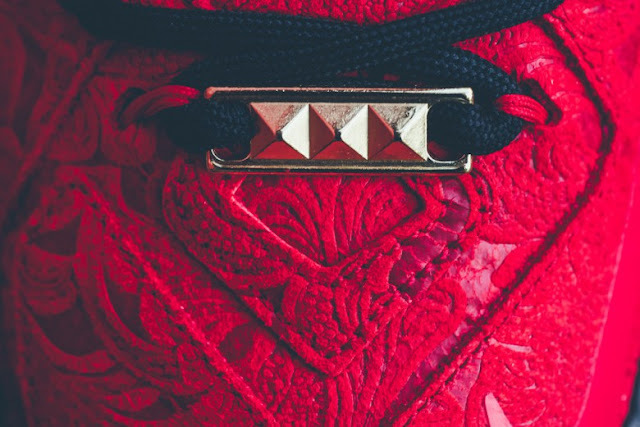 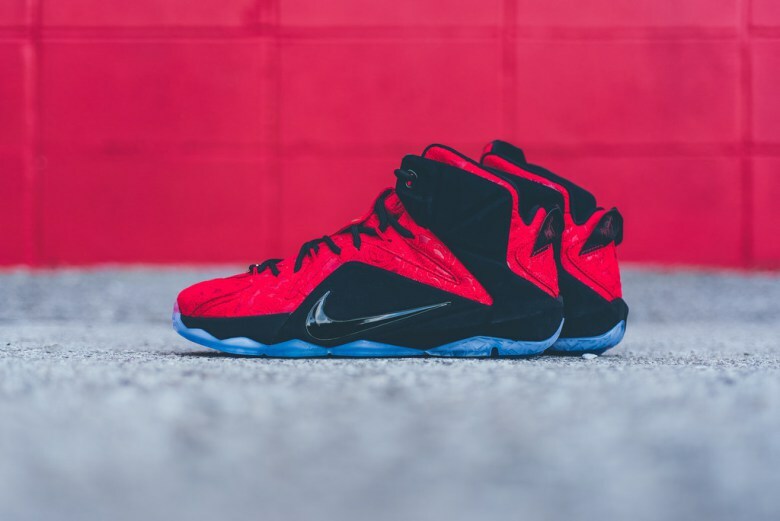 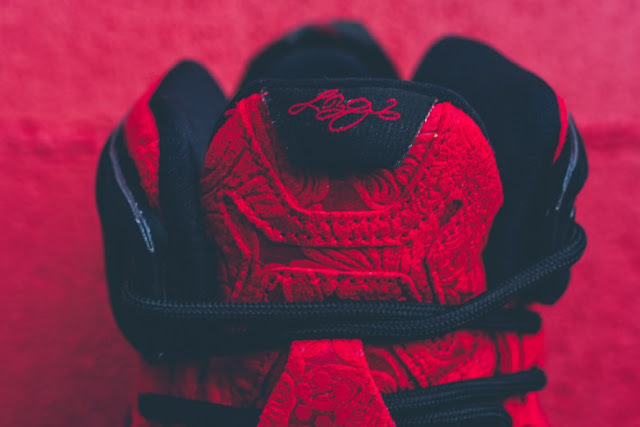 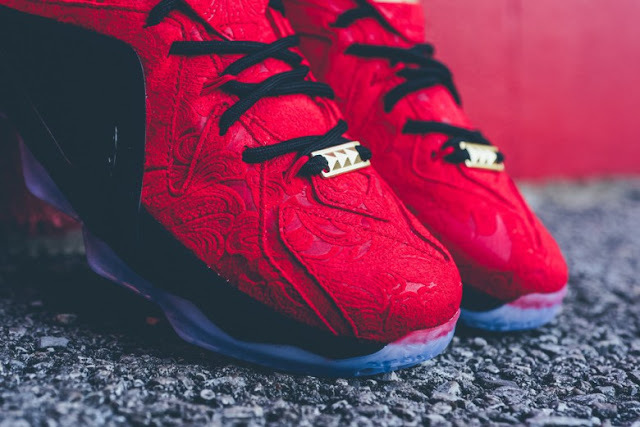 The LeBron 12 EXT “Red Paisley” comes outfitted with a relieved upper, meticulously detailed with floral motifs throughout the red suede paneling. These features are contrasted by staunch black nubuck at the wings, and further accented by the translucent “Ice” Zoom Hex Air outsole. 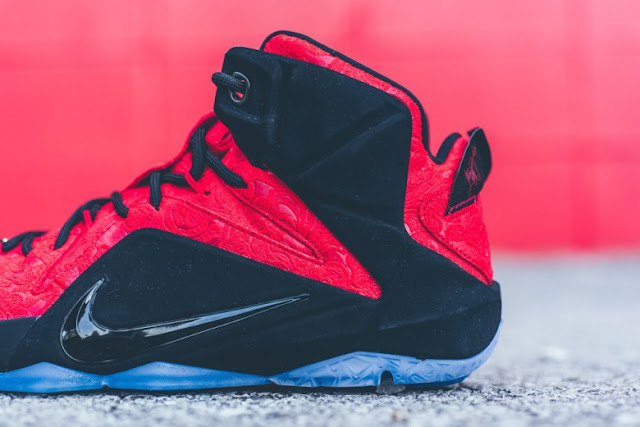 Look for this iteration of the LeBron 12 EXT at specialty retailers such as Sneaker Politics beginning June 27.